They actually look quite nice mate. Begging for a spray can of dark brown for an undercoat. One question, the guys at the back middle of the shot, have axe-heads on sticks, those look to me like they need to be bent back into shape? I believe that is the natural shape of those axes but I’ll be b******d if I can find where I read that! And some good news this morning, I got a nice letter from Mr Kay at Irregular Miniatures letting me know that the remaining Khmer are on their way – being chased by a horde of Burmese. I’ll have a look and see if I can find an appropriate brown spray paint here, otherwise it will be the black undercoat and white wet-brush – or maybe white undercoat and a later dip after painting in brown ink. Hmm, bright seems appropriate though so I think blank undercoat and then white wet-brush. Hi — I’m a fellow Aussie who is currently looking to start playing DBA (and building an army), and I stumbled upon your blog a while ago and have been following it since! Regarding the unusual shape of those axes, it is mentioned in the DBM book III in the Khmer list so perhaps that’s what you were thinking of. The Irregular Khmer army does look pretty good all lined up and assembled, I’m looking forward to seeing how the Burmese shape up. Ah, that’s right. The axes were mentioned in the DBMM lists. 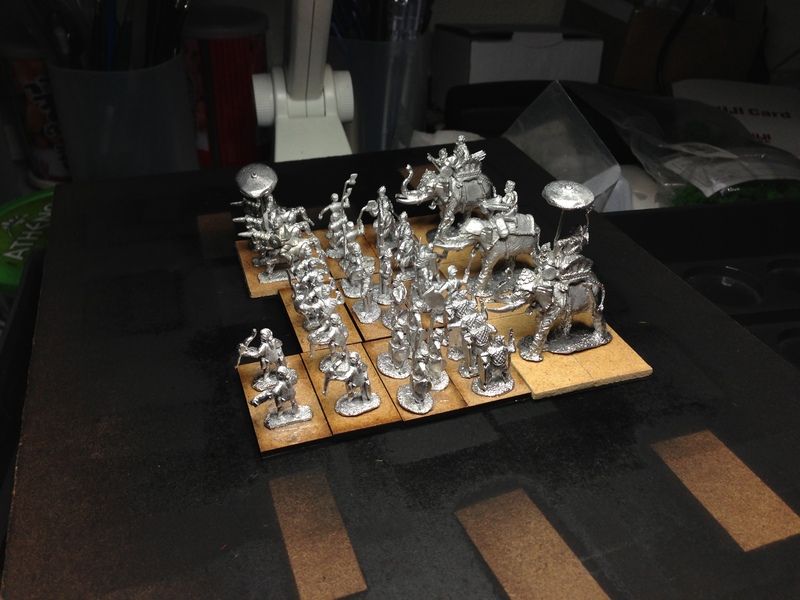 I like DBA because I can get an army together quickly and before I get bored painting it … I remember building a Sumerian DBM army 15 years ago (goodness, it was that long ago). I was so sick of the pikemen and the Zagros highlanders by the end of it I never really enjoyed playing with them. Each of the DBA armies are quick to build. It’s almost impossible to get bored with them before they are painted.